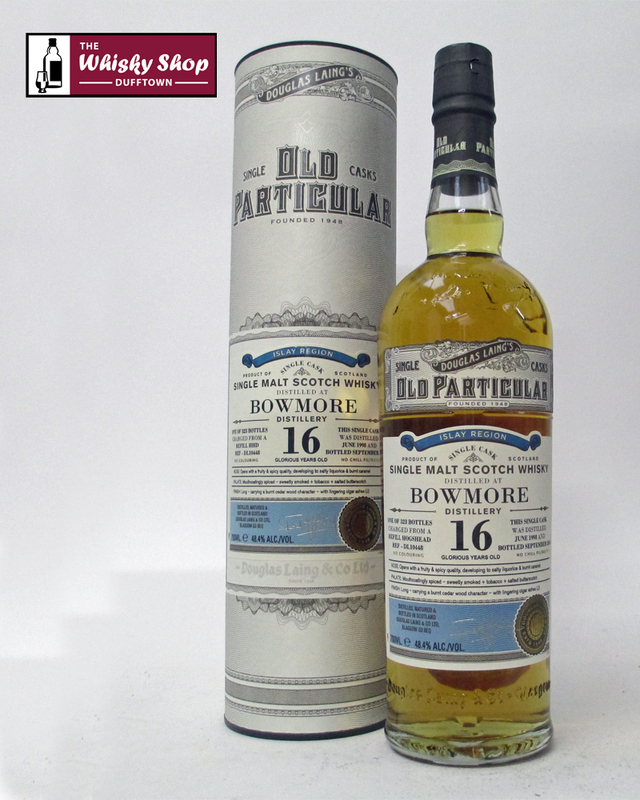 This Bowmore was distilled in June 1998 and bottled in September 2014 from a refill ex-Bourbon Hogshead which produced 323 bottles at 48.4% ABV. Douglas Laing: Opens with a fruity & spicy quality, developing to salty liquorice & burnt caramel. Douglas Laing: Mouthcoatingly spiced - sweetly smoked + tobacco + Salted butterscotch. Douglas Laing: Long - carrying a burnt cedar wood character - with lingering cigar ashes.